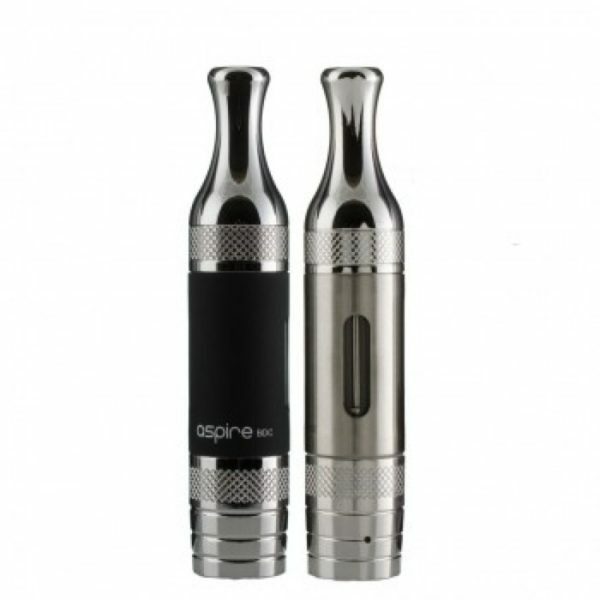 The Aspire ET-S is a sleek solid designed clearomiser that uses replaceable BVC (Bottom Vertical Coils). The Aspire ET-S has an ample 2ml chamber for e liquid so this clearomiser would be ideal for an all-day vape without having to refill constantly. The Tank is surrounded by a metal sleeve, with two windows allowing you view the liquid volume inside. The ET-S comes with a BVC 1.8 Ohm resistance coil preinstalled in device. Not recommended for high VG liquids.